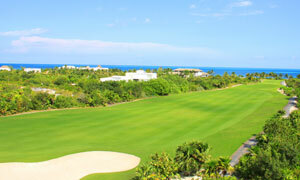 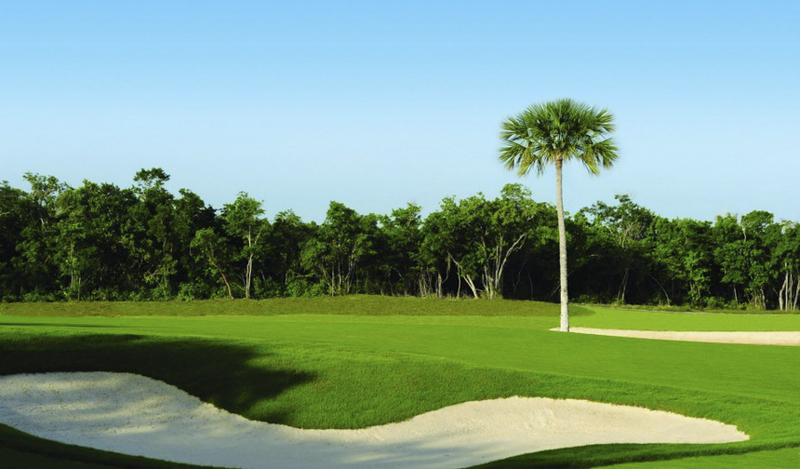 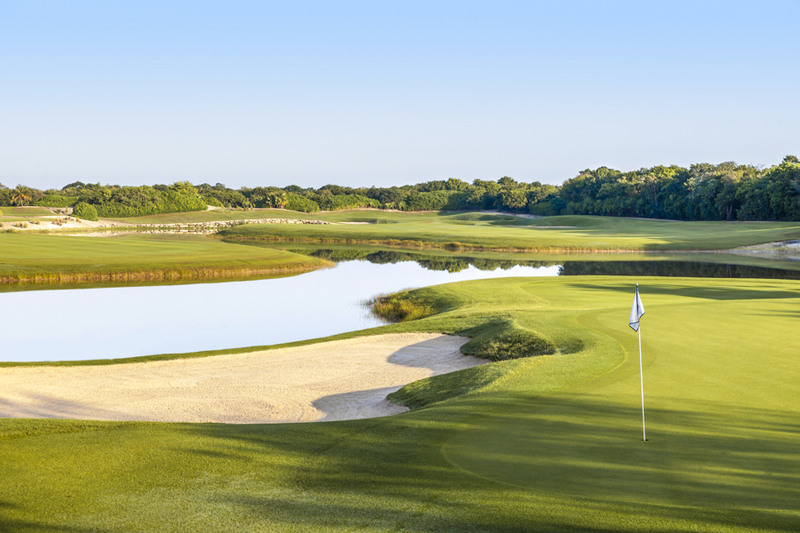 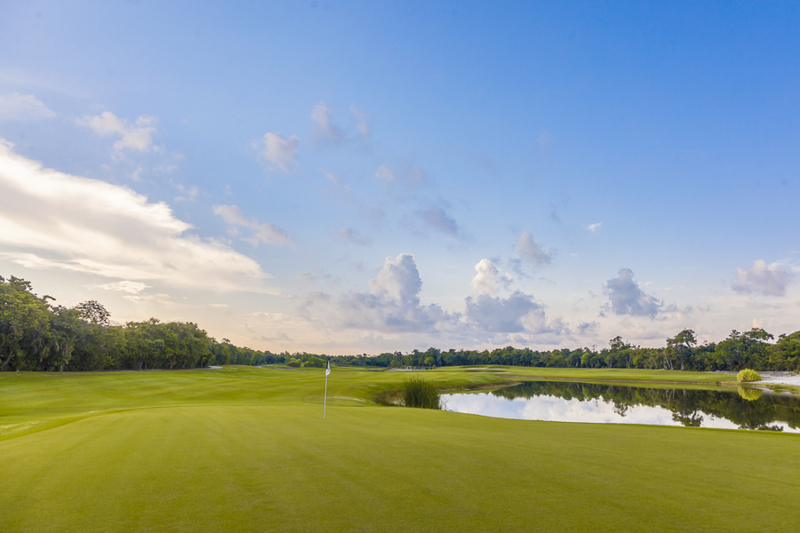 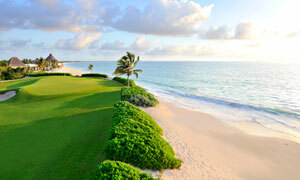 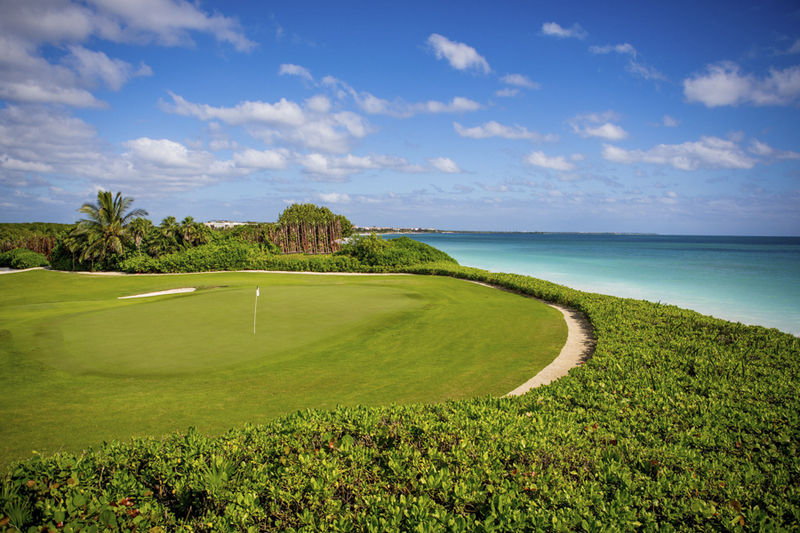 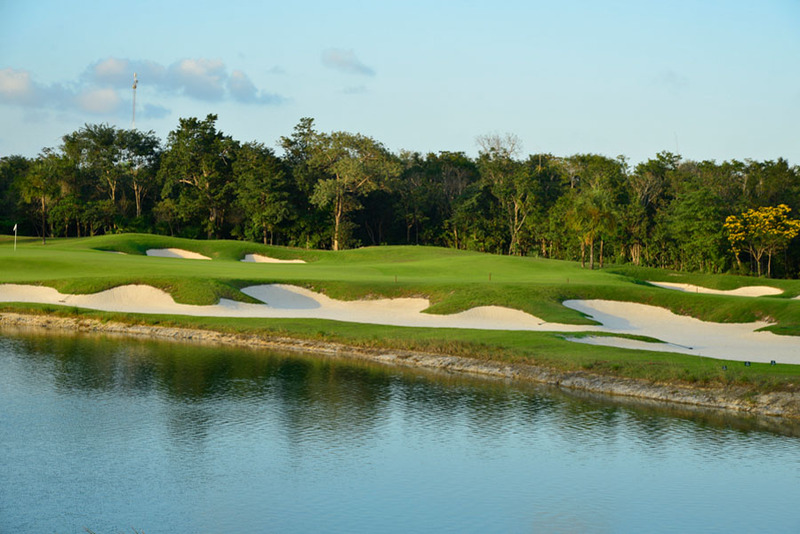 El Camaleon Mayakoba Golf Course boasts an amazing layout designed by legendary Australian golfer Greg Norman. 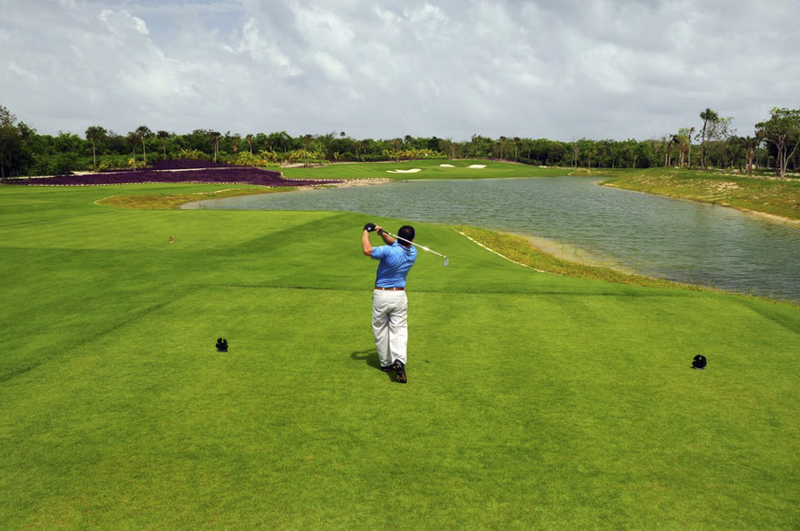 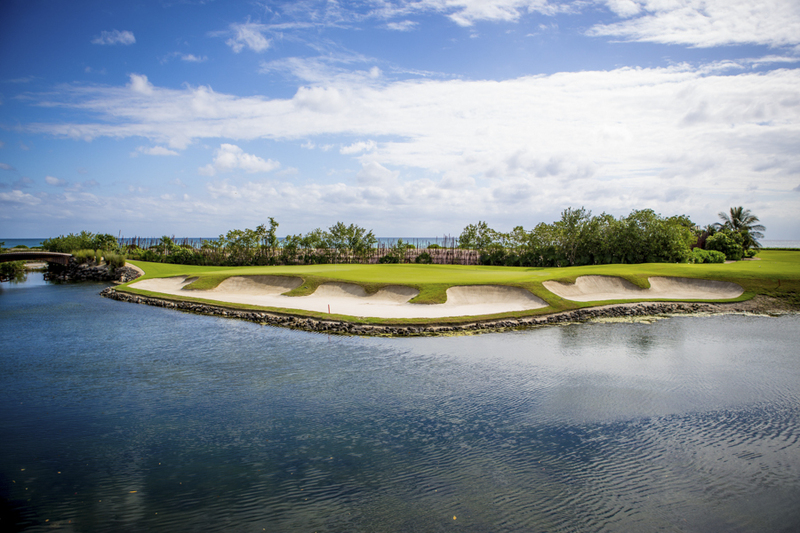 Like a chameleon from which it takes its name, the course offers constantly changing views as it winds through tropical Mayan jungle and mangrove forest before boldly stretching to the Caribbean Sea. 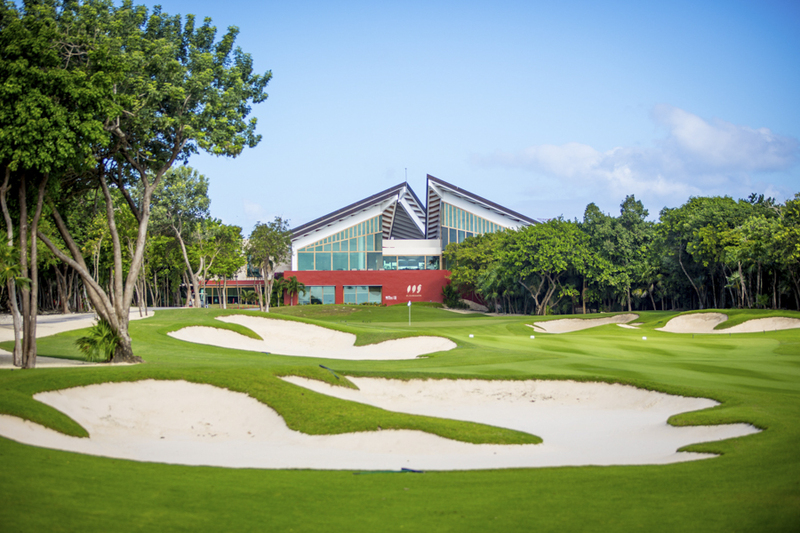 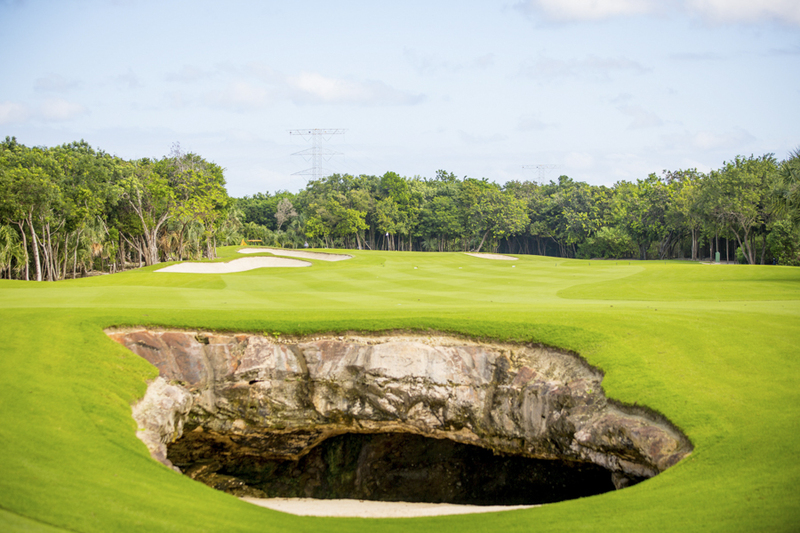 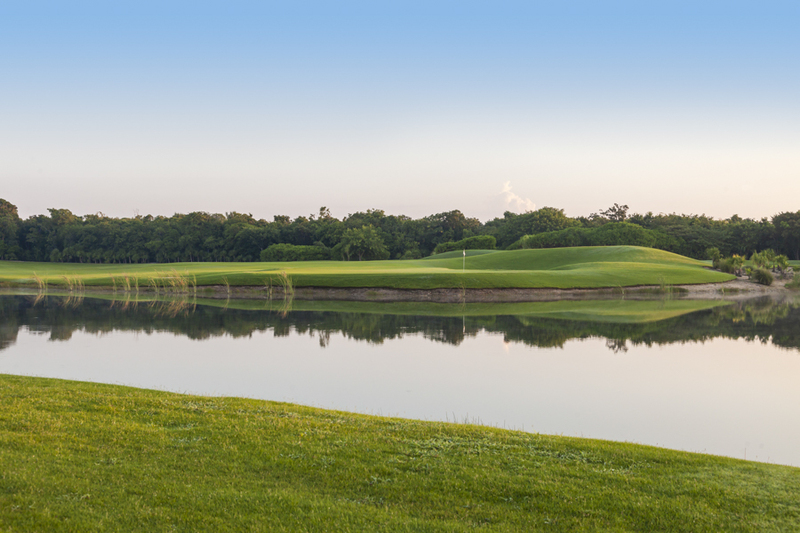 Crystal-clear fresh water canals, massive bunkers and cenotes (subterranean caves) are some of the diverse challenges you will encounter as you play where the Pros play. 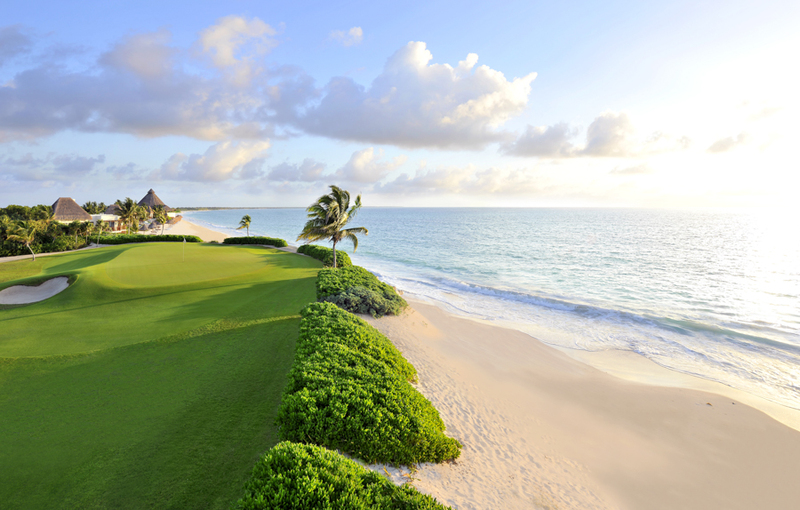 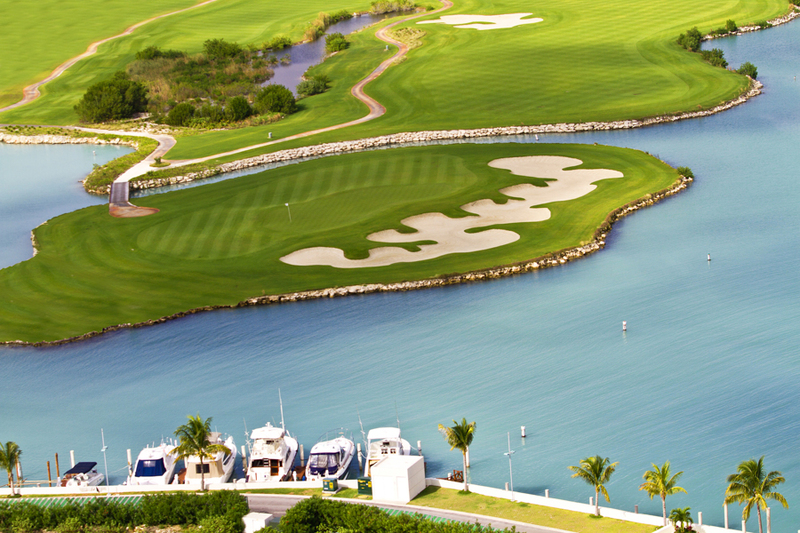 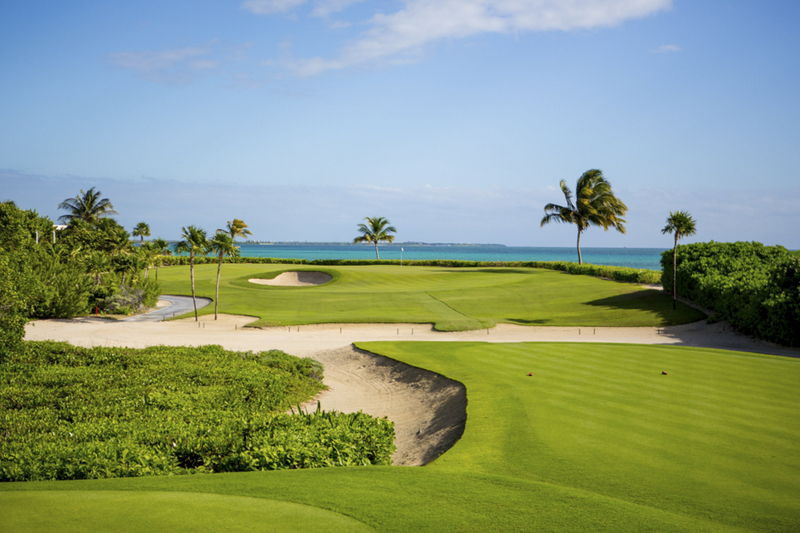 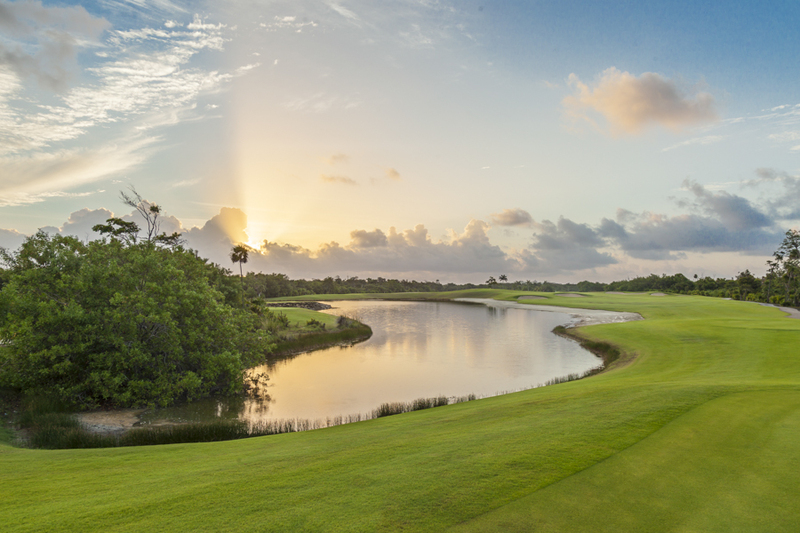 El Camaleon is the home of the OHL CLASSIC at Mayakoba, the only PGA TOUR event in Mexico and Latin America. 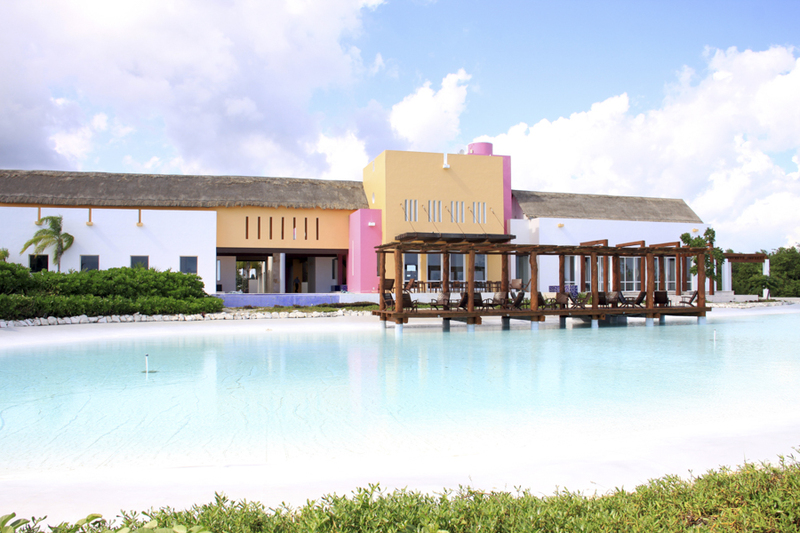 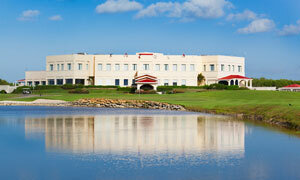 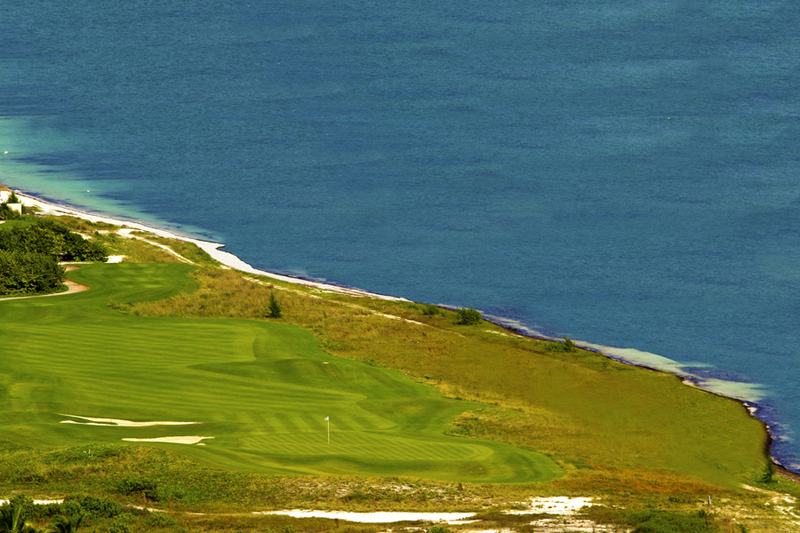 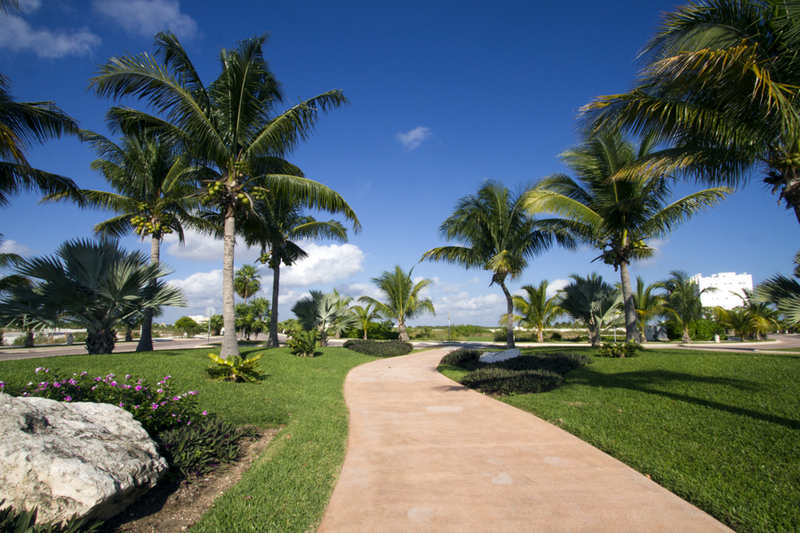 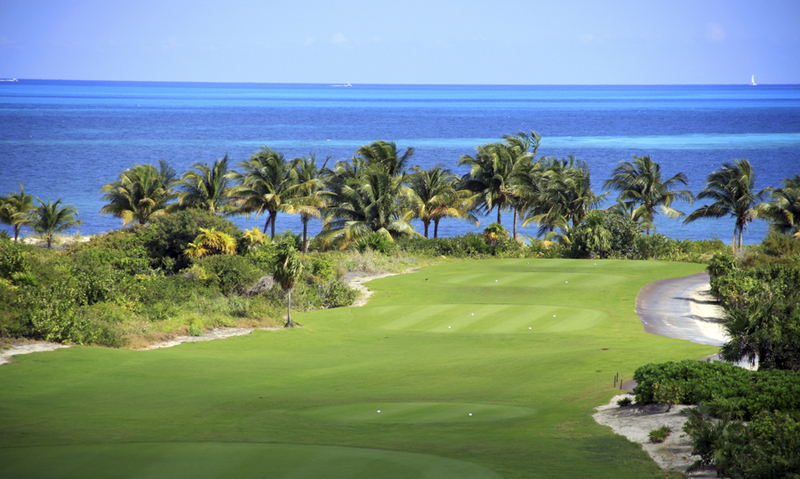 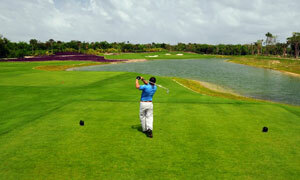 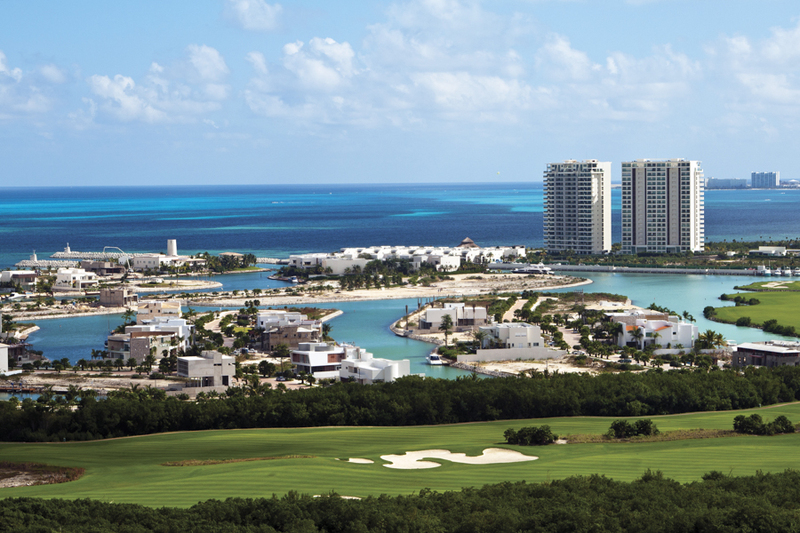 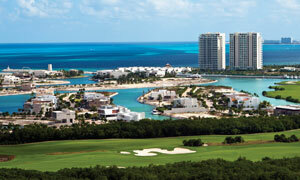 Moon Palace Golf Course is the only Nicklaus Signature course in Cancun and The Riviera Maya. 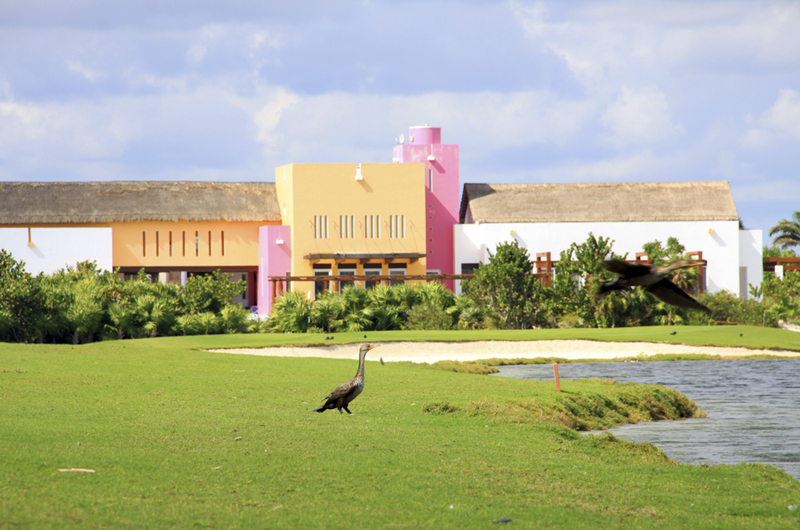 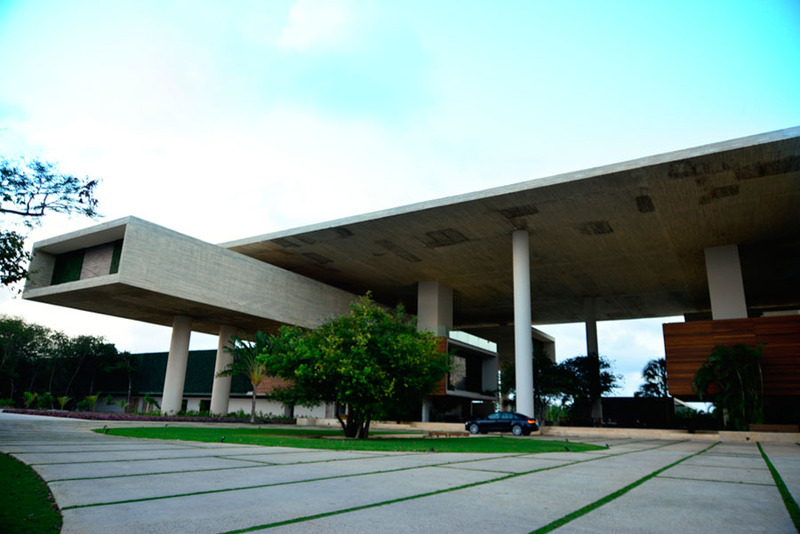 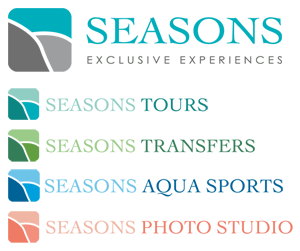 Designed with a unique concept of environmental conservation, a perfect ecological harmony is achieved. 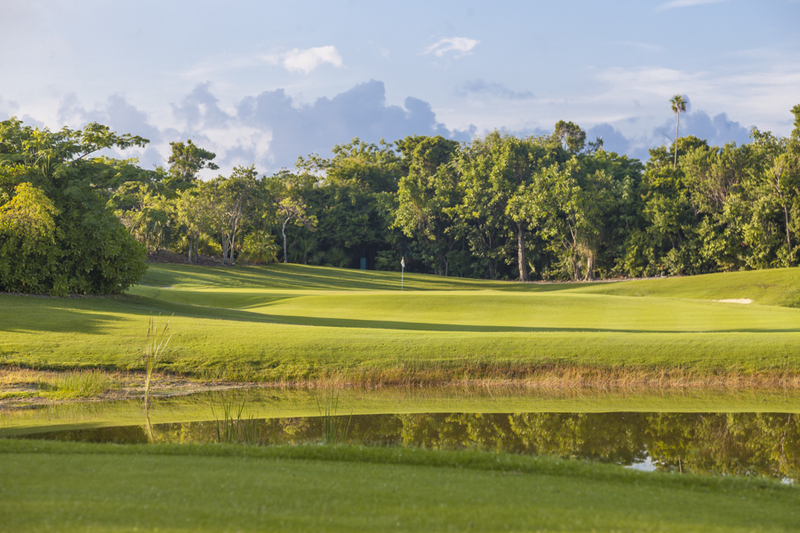 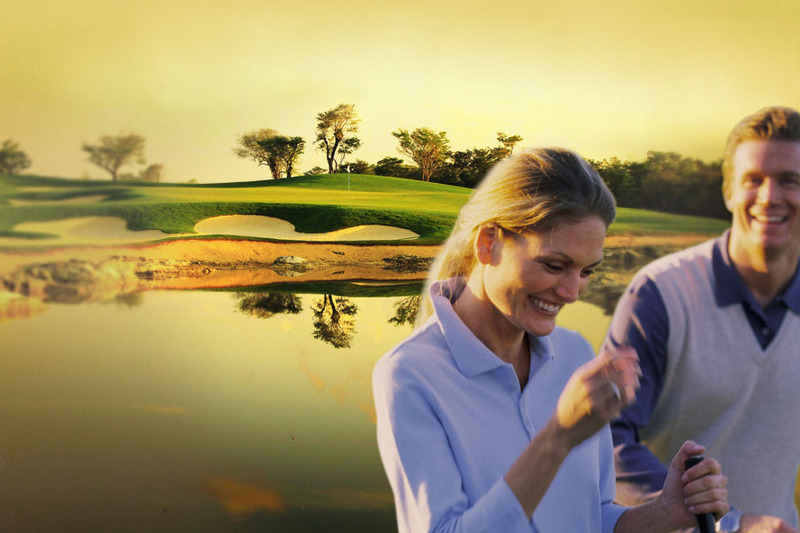 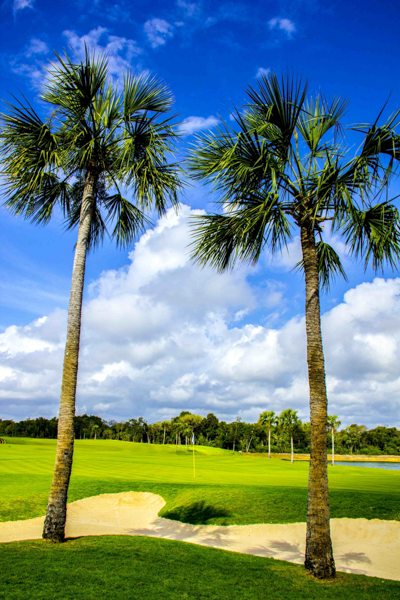 Surrounded by a beautiful landscape, natural mangroves and exotic animals, this course will be an unforgettable experience throughout its 27 holes: Dunes-Jungle, Jungle-Lakes and Lakes-Dunes. 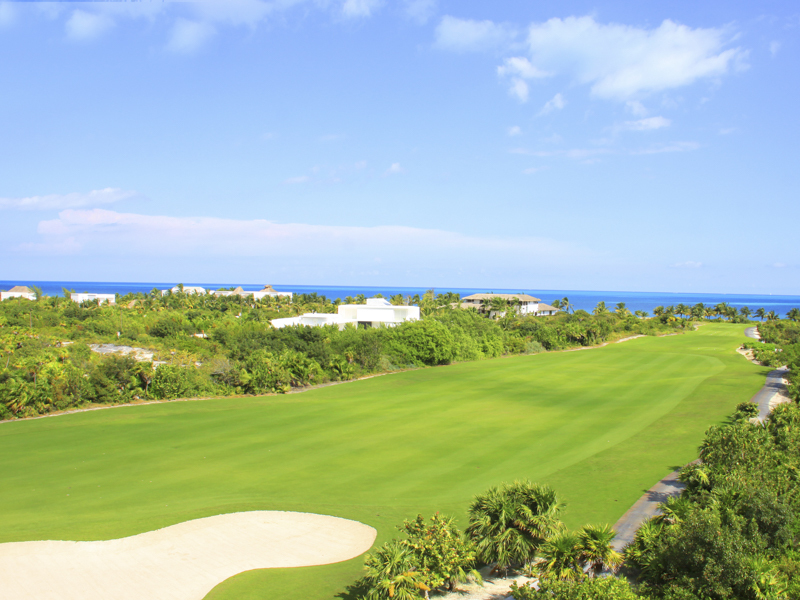 The all-inclusive system offers unlimited food and beverage at the club house and along the course. 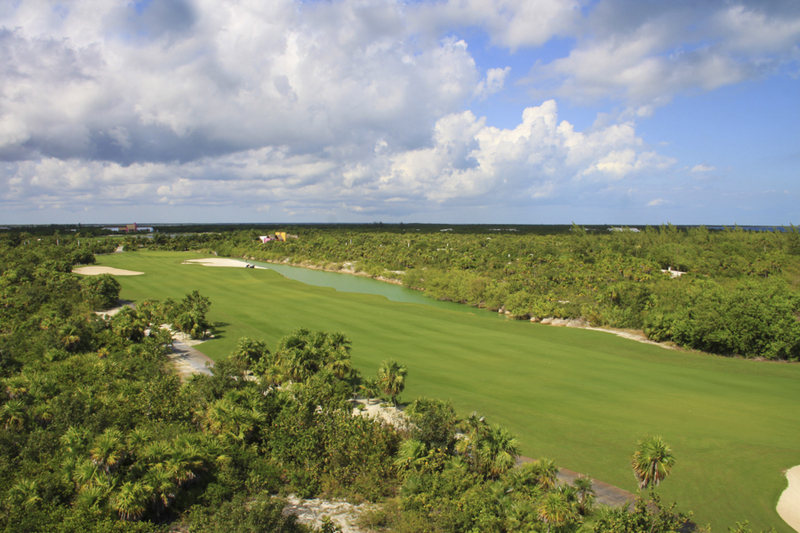 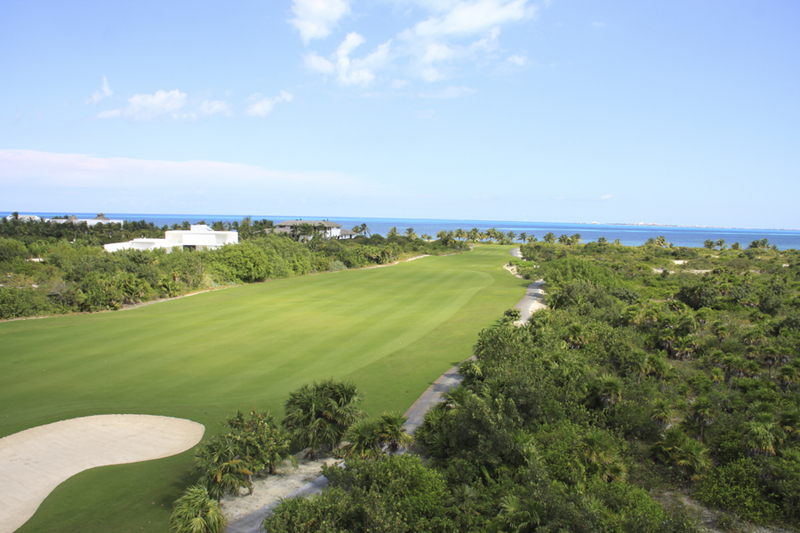 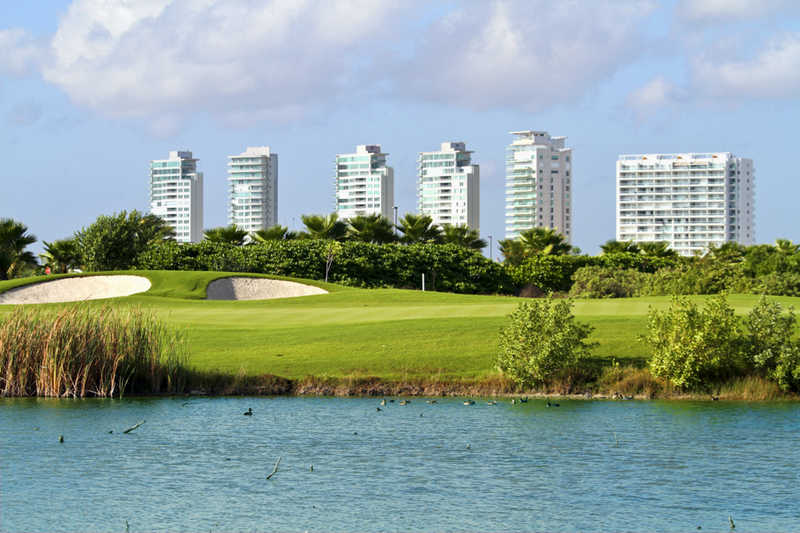 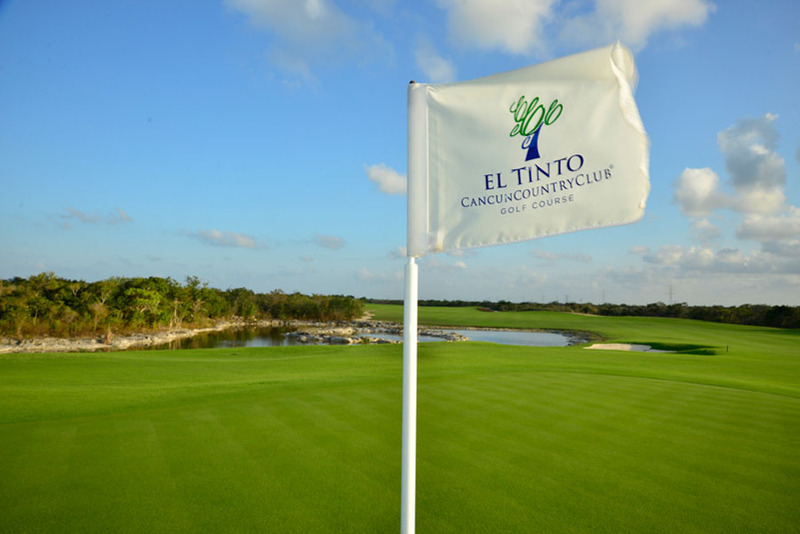 El Tinto Golf Course, located at Cancun Country Club, which has 7.435 yards, is now open to meet high standards to ensure amateur and professional golfers to be tested, and enjoy world-class golf in the Caribbean. 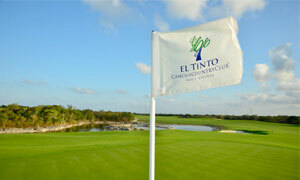 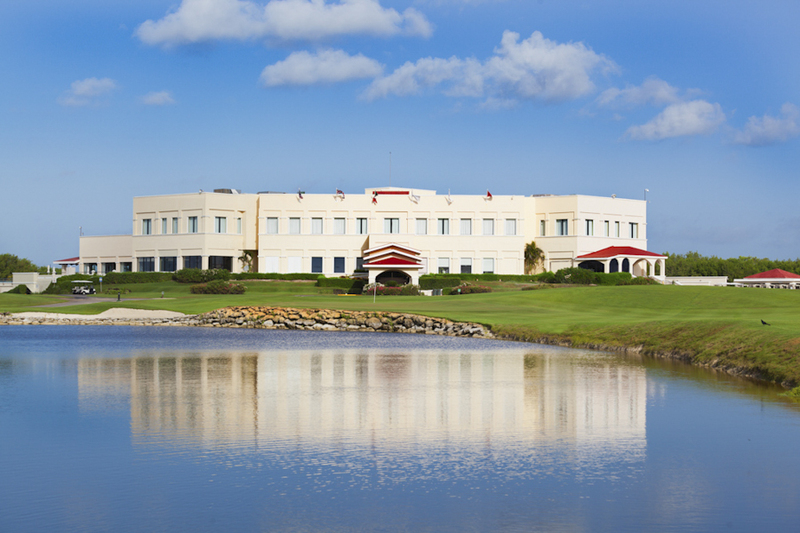 Environmental awareness was integral to the design and development of El Tinto Golf Course. 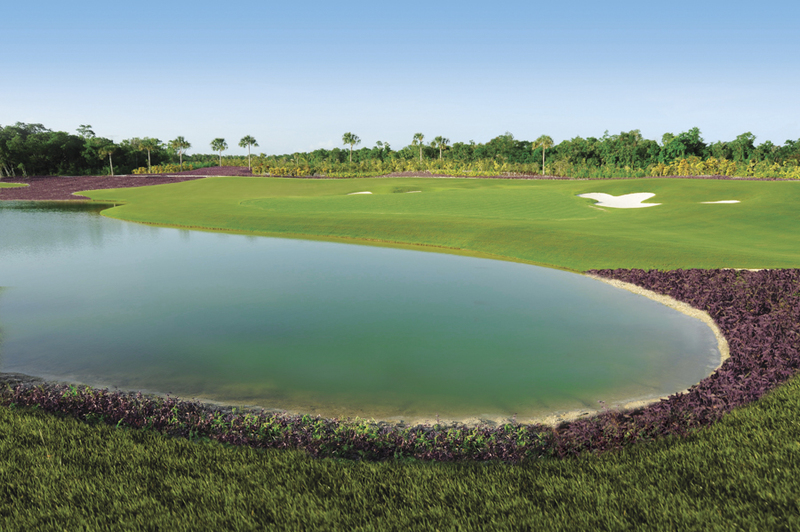 Special care was taken with sensitive flora and fauna indigenous to the region, while designer Nick Price incorporated naturally occurring water features and elevation changes into his world-class creation. 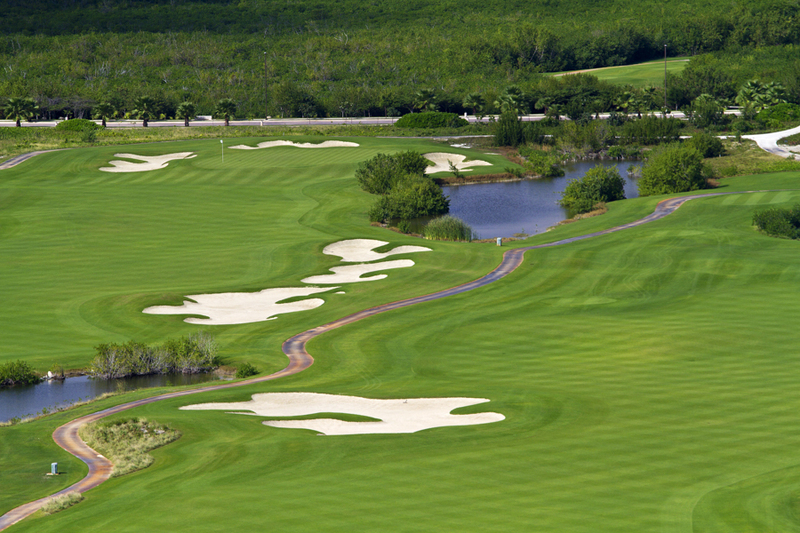 The course boasts wall-to-wall Platinum Paspalum, the Cadillac of grass in this region, as well as 84 bunkers and 5 lakes. 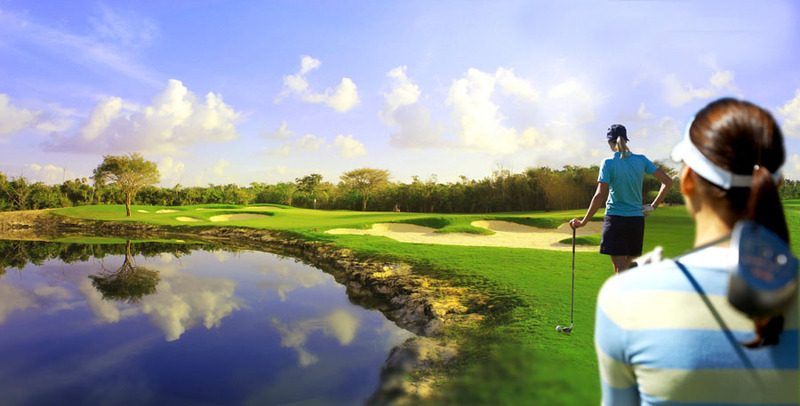 Mr. Price succeeded in creating within each hole a challenge for golfers of all abilities.